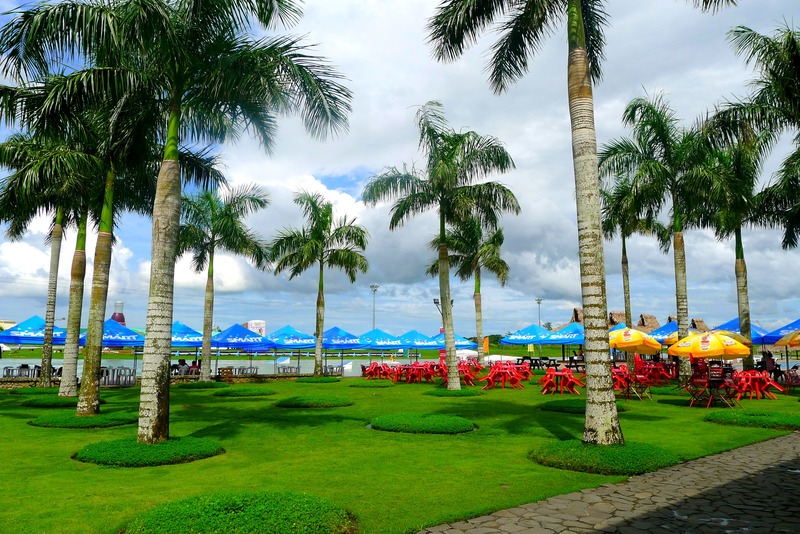 There’s also a swimming pool right beside it if you feel like swimming AND eating. Basically, there’s never a dull moment when you’re eating here. This was my first meal at the Clubhouse: a dish that contained plenty of beef, carrots, mushrooms, potatoes, and cream. The serving was good enough for two people so I had a hard time finishing it myself. It was good, though. 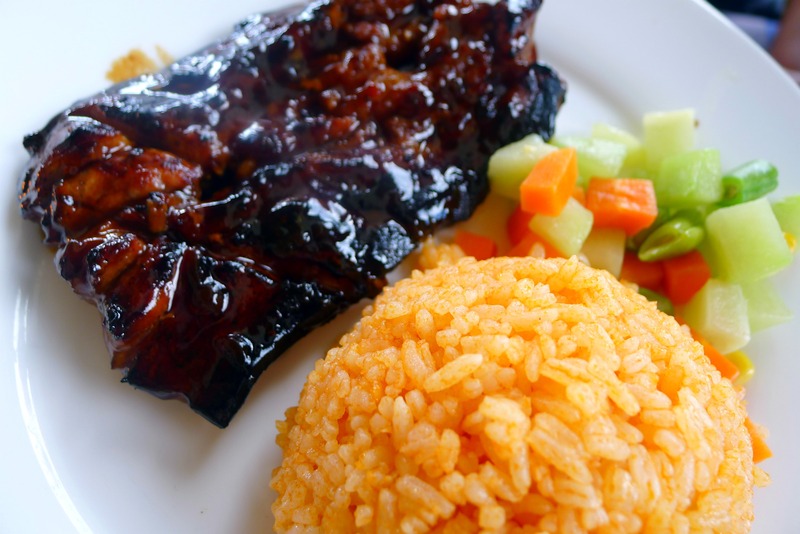 I think it’s called Beef Sevillana (I could be wrong though but the name sounds like it) and it’s listed as one of the chef’s recommendations. 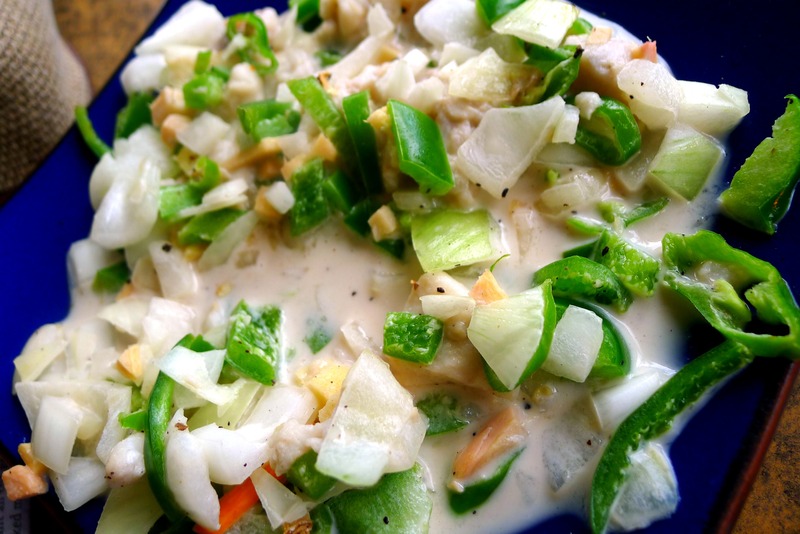 One of my favorite dishes there is this kinilaw na Tangigue (ceviche). 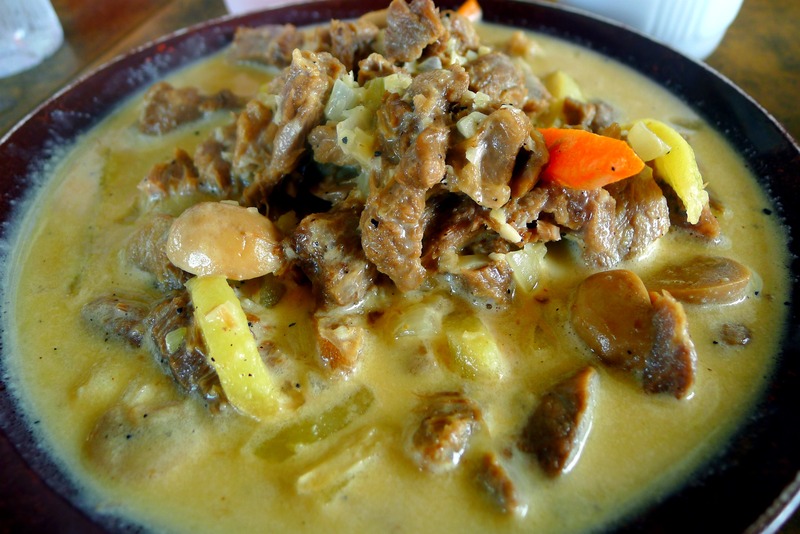 Not only is it generously served with chili and pepper, it’s also immersed in coconut milk. Usually, we only put lemon, ginger, and vinegar in kinilaw. This was the first time I tasted it with coconut milk (Bicol-style) and it was surprisingly very good. Filing that in my mind for future reference. 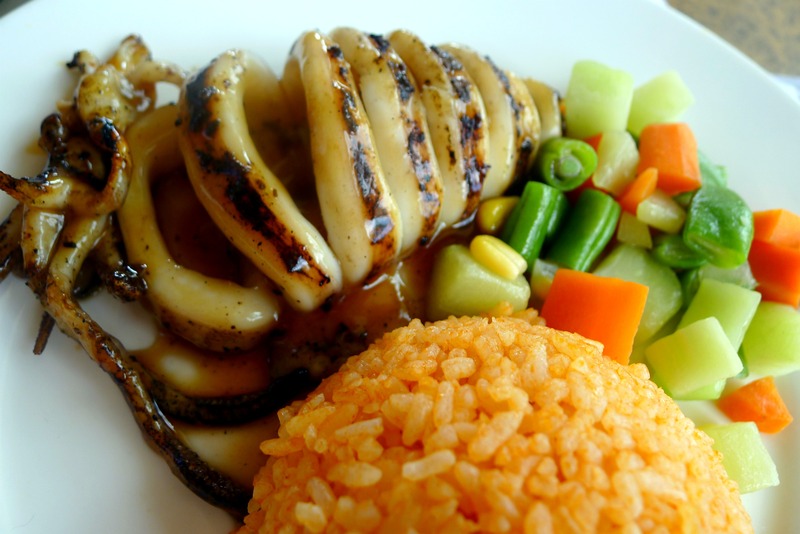 My least favorite among the meals I’ve eaten there would be this grilled squid dish. It looks good in the photo and sounds good in theory but the squid itself was rubbery. I felt horrible eating it. And to think, I love squid! There are many other things to try out at this cafe including the laing, laing pizza, and sinigang. I guess I better save that for next time. Happy Friday, people of the universe!